For use by the wise and the wary, and for all who roam the vast tracks in their guardianship of others. 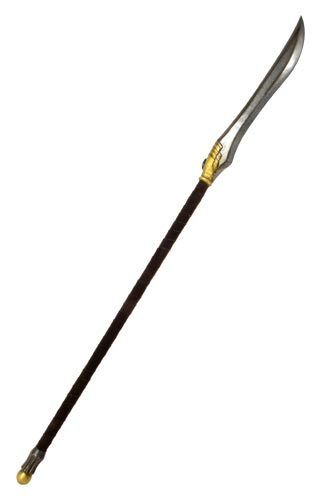 This bladed spear, also called a Naginata, is perfect for cutting down your opponents before they can get in close enough to attack you! -foam thickness depth to core on striking surface: +3/4"
-foam thickness depth to core on all non-striking surfaces: +3/4"
-foam thickness from core to end/tip: +1 ½"
Note: This item is not eligible for free shipping.